Since 1996, the Sobrato Family has built a legacy of generosity in California’s Silicon Valley. When they wanted to expand their impact, they looked to Catholic Relief Services. By establishing the Sobrato Educational Endowment, the Sobrato family is providing education for children who might otherwise not receive any schooling, including children affected by war and children denied access because of a disability. 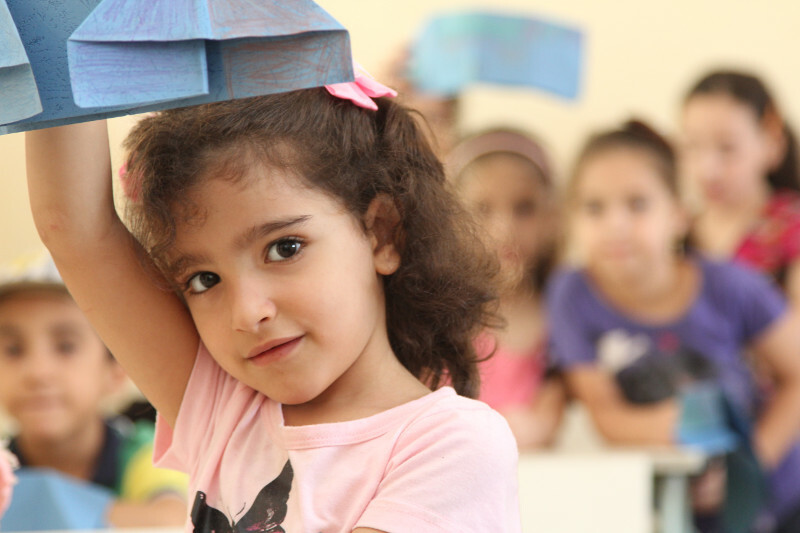 Establishing educational opportunities and safe spaces for children affected and displaced by conflict. Creating life-skills and vocational training opportunities for young adults, particularly those who are not enrolled in school or employed. Utilizing our holistic approaches to education to create dynamic learning opportunities as the global landscape for children and youth changes. Partnership in Haiti, for example, with the University of Notre Dame and the Haitian Ministry of National Education to revitalize Catholic schools across the country in such areas as principal training, community outreach and parent engagement. Within the United States, learning modules for elementary-aged children, Catholic social teaching of tangible acts of solidarity and advocating with the poor with CRS’ Global High School challenge opportunities.